More embossed cards using Cuttlebug. 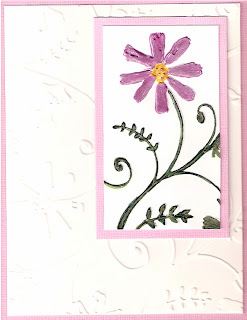 Embossed these with Stylized Flowers Folder. Embossed some on Glossy CS and some on Matte white. 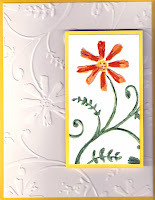 Embossed on small white mat ( use on glossy or matte) and colored flower with markers. 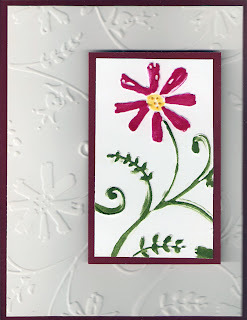 Matted the flower on matching color SC as was used for larger mat on card. Very CAS.